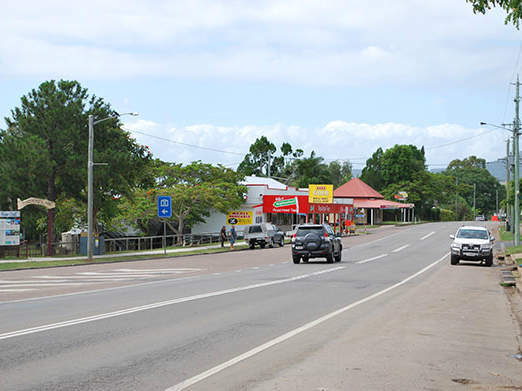 J1-LED is committed to traffic management solutions that enhance road safety. 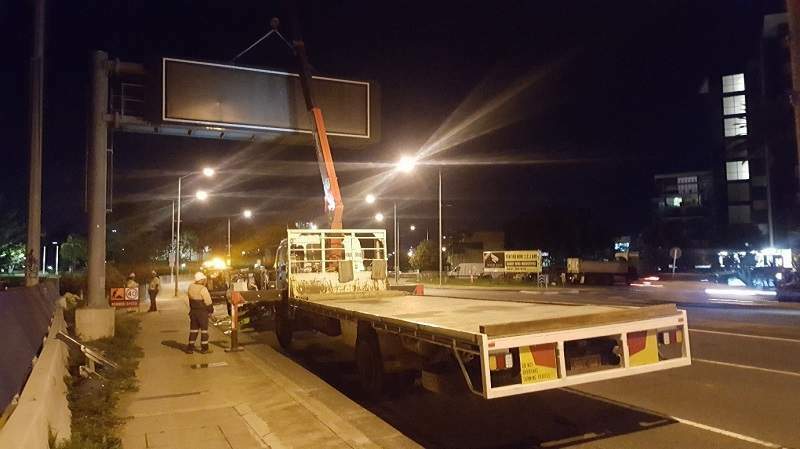 Our in-house engineering and fabrication capabilities mean that we are also a preferred supplier for light-emitting diode (LED) advertising signage and intelligent transport systems (ITS). 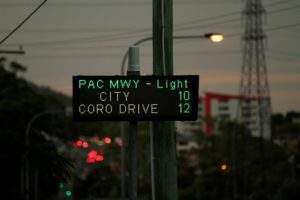 J1-LED is a leading developer of LED signage, ITS and traffic safety products. 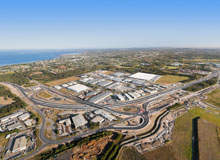 Assembled and manufactured in Australia, J1-LED deliver custom-designed client solutions that meet operational, regulatory and environmental benchmarks. 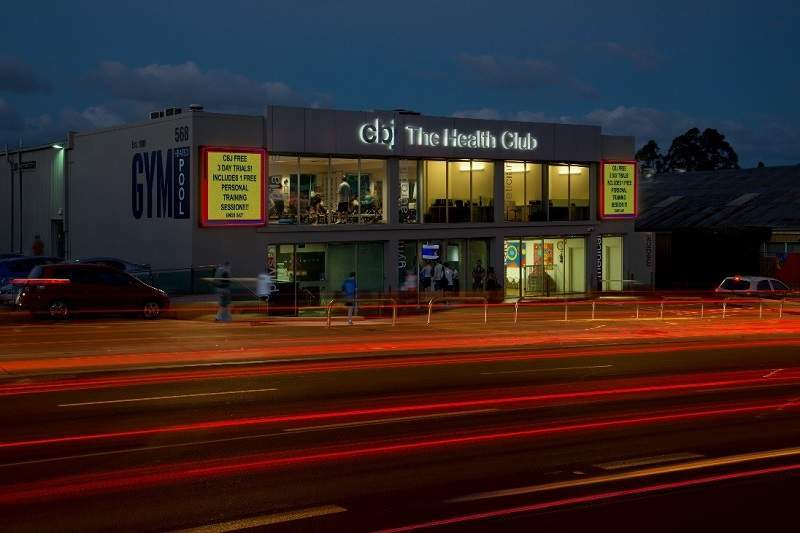 Delivering the best in technology and product innovation, supported by our service and installation team, J1-LED is the only Australian business offering the full spectrum of LED solutions. 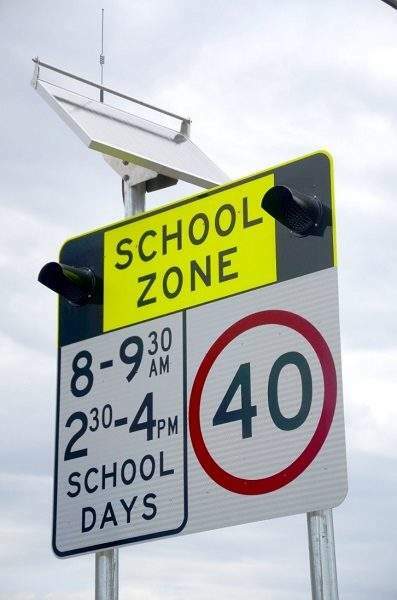 Our range of LED signs and products reflects our commitment to road safety through innovation. Traffic control vehicles and traffic safety products such as truck-mounted attenuators (TMA) meet stringent international safety guidelines, and all products include complete installation and full service support. J1-LED is a specialist in the ITS sector, with more than 50 years combined experience of engineering ITS in-house. 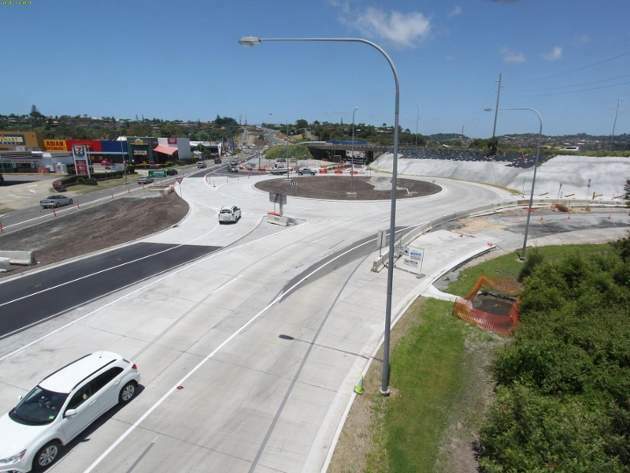 We are established within the ITS market, having operated for more than 15 years and completing ITS projects such as the Legacy Way Tunnel in Brisbane, M5 West widening in Sydney, the Adelaide Superway and School Zone rollouts across three states. Our end-to-end approach to ITS project management, from concept to installation, ensures that our services and products can be tailored to client requirements, providing high-quality hardware and expert technical advice to both international and domestic customers. 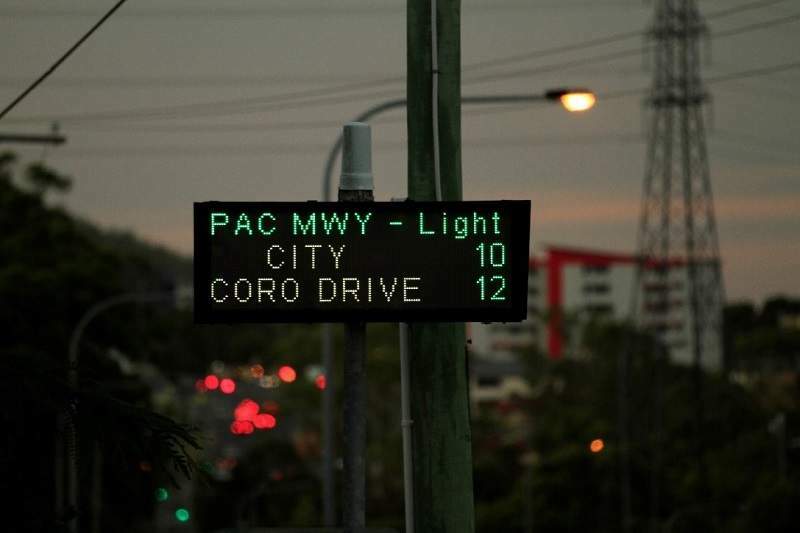 J1-LED offers a wide range of LED advertising signs to suit any project specification. Our in-house engineering and manufacturing capabilities enable us to adapt to nearly any client requirement. Our products include high-resolution graphic displays, high-brightness text displays, scrolling text displays and fully customised designs. Whether you’re interested in time and temperature displays, or signs for production, safety or advertising, options such as single-sided and double-sided units, or RGB, penta, amber and bi-colour signage are also available. 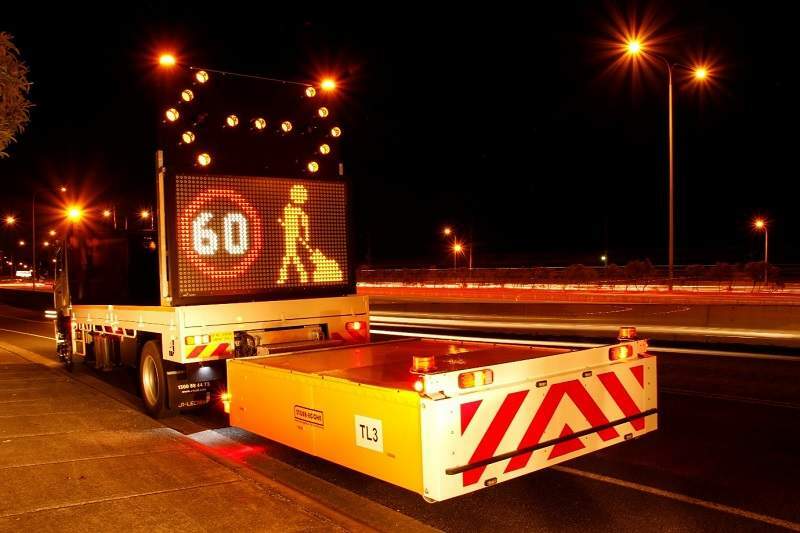 J1-LED’s customisable range of portable LED systems and signs is designed and manufactured in-house, before being fitted to your vehicle fleet or installed on our innovative trailer platform, which is rated to wind region C without the need for additional ballast. 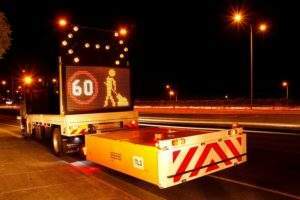 Utes or trailers may be fitted with a wide range of portable LED solutions, including variable message signs (VMS), portable traffic lights (PTL), arrow boards (AB), road condition information signs (RCIS), and portable variable speed limit signs (VSLS/LUMS). 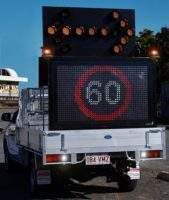 Clients often use their vehicles for multiple purposes, so we designed our products to be modular, enabling quick installation and removal to ‘reclaim the tray’ when a VMS ute is not required. J1-LED’s engineering and fabrication expertise make us the right choice for all your safety vehicle and fleet fit-out needs. The company custom-designs and builds trays, high-strength headboards and tray fixtures such as cages, lock boxes, turnstiles, frames and ladders. Fit-out options include TMAs, beacons and warning bars, as well as reversing squawkers and reversing cameras. 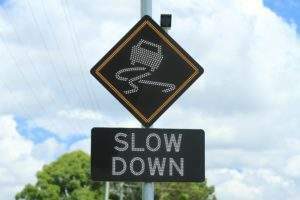 The company also offers ultra-high frequency (UHF) radios, air horns, four-point harnesses, first aid kits, fire extinguishers, sandbags and traffic cones. Seamlessly mounted into the dashboard of the vehicle, the innovative autonomous control system (ACS) touchscreen LCD interface enables easy operation of the lights and signage. 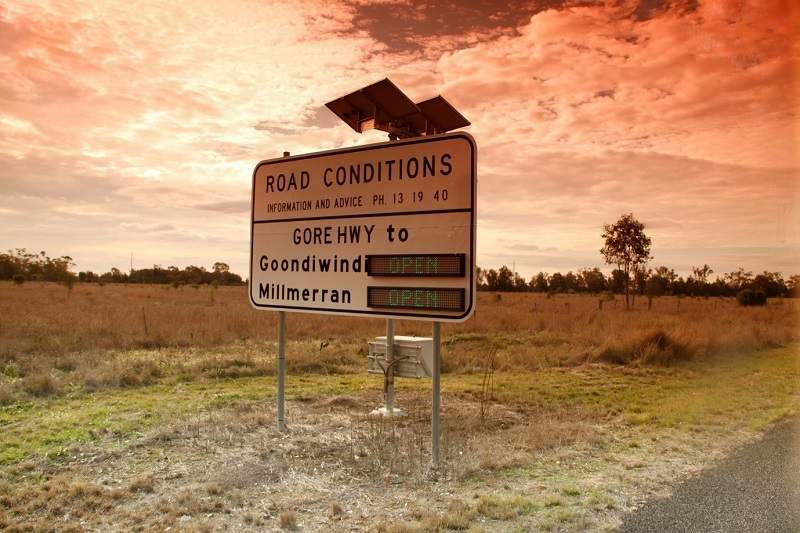 All vehicle fit-outs are supported by a national service team and 24-hour roadside assistance. 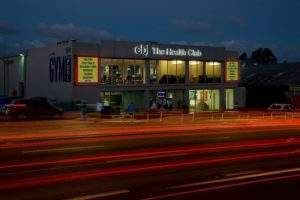 ITS Host is J1-LED’s proprietary software for the management of electronic signs. 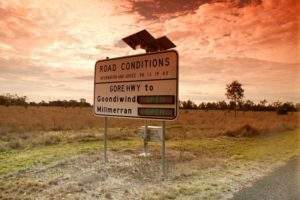 The system provides a cloud-based portal that is easy-to-use, installation-free and user-location independent. Truck-mounted attenuator (TMA) manufacturer Stuer-Egghe recently announced J1-LED as their ‘2018 International Dealer of the Year’ at the recent 2018 Intertraffic Conference in Amsterdam. This brochure features details about our NCHRP 350 compliant traffic system. 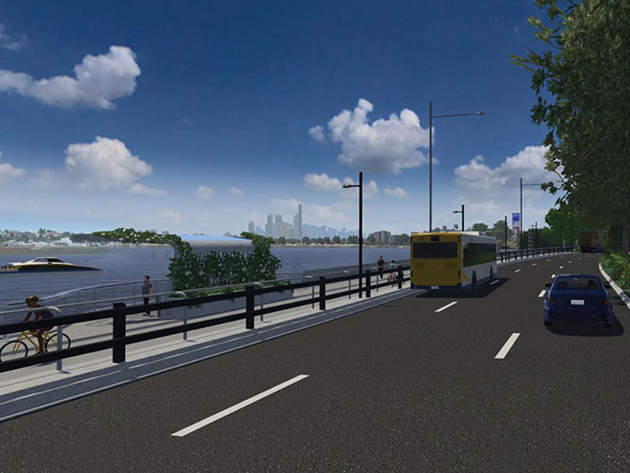 The Kingsford Smith Drive Upgrade project involves the widening of a 7km-long four-lane section of Kingsford Smith Drive between Riverview Terrace and Breakfast Creek Road in Brisbane, Australia, to six lanes. 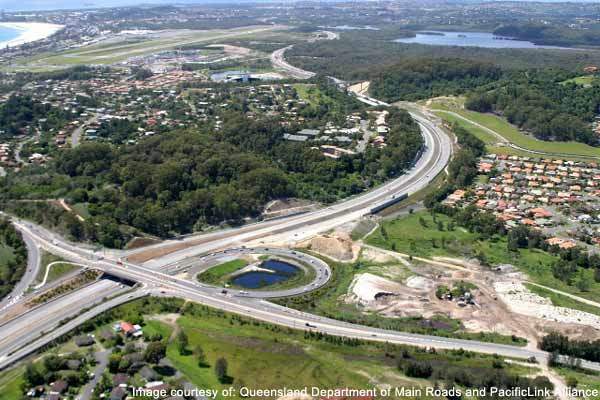 The Pacific Highway is a 960km-long major transport route that connects two major Australian cities, Sydney and Brisbane. 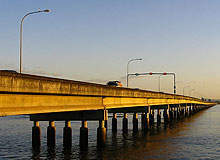 The Princes Highway is the major route connecting Sydney, Australia, with Port Augusta via Illawarra and the South Coast regions. 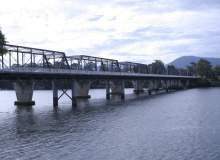 It is considered as a key link for passenger and freight transport. 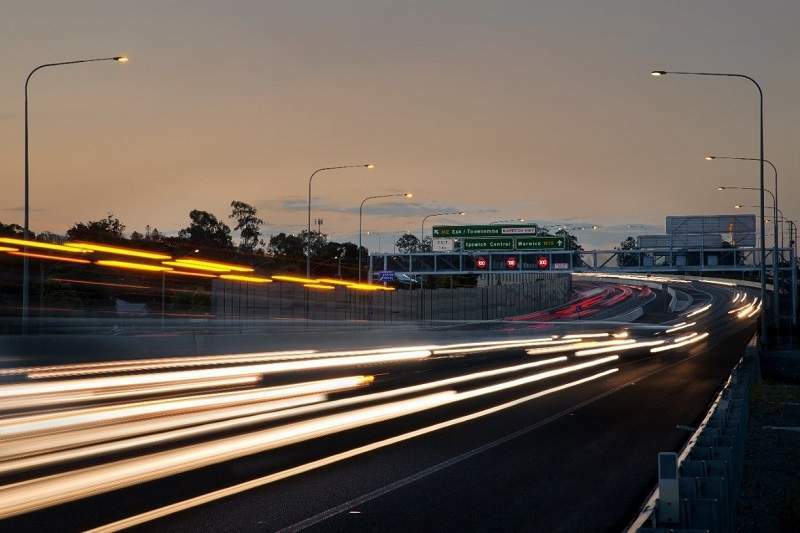 The Gateway Western Australia (WA) Freight Access Project at Perth Airport is intended to reduce traffic and provide improved access to the airport and surrounding areas. 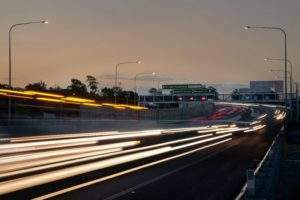 The M5 West Widening project involved expansion of the M5 South West motorway, which is part of the M5 Transport Corridor in New South Wales (NSW), Australia. 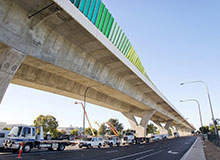 The Australian Department of Planning, Transport and Infrastructure (DPTI) completed the South Road Superway, South Australia's first elevated roadway, in March. 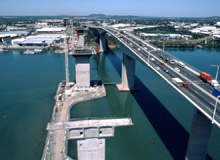 The Port of Brisbane motorway (PoBM) was upgraded and extended under the Port of Brisbane motorway upgrade project or the port connect project. 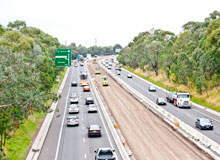 The Peninsula Link is a 27km-long, four-lane road connecting the Mornington Peninsula Freeway in Mount Martha to the EastLink in Carrum Downs, Australia. 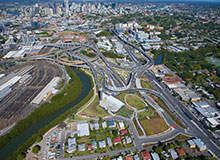 Aiportlink M7 is an underground toll road tunnel in Brisbane and Australia's biggest roadway project. 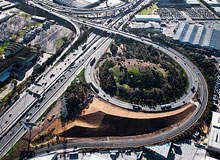 The tunnel links the city to Brisbane Airport and is a part of the M7 motorway. The innovative new Sliding Truck-Mounted Attenuator from J1-LED enables unprecedented access to height-restricted areas. 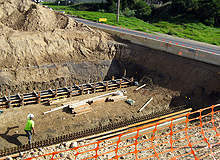 It also boasts several mechanical, safety and cost-saving advantages over traditional cantilever TMA systems. We are pleased to announce that our revamped website, J1LED.com is now live!